The Robert H. Lurie Comprehensive Cancer Center at Northwestern University was first established in 1974. In 1991, the center was dedicated through a gift of endowment from Ann and Robert H. Lurie. The full name was adopted in 1997, when the Cancer Center was awarded the National Cancer Institute’s highly competitive "comprehensive" designation for its dedication to the highest standards of cancer research, patient care, education and community outreach. In 1987, at the age of 46, Bob Lurie was living a happy comfortable life. An engineering graduate of the University of Michigan with a master's degree, he deviated into the real estate arena with his college friend Sam Zell. Together they built successful careers in real estate and diversified investments. Sam was the “outside man,” forging relationships with big names in business and “doing the deals.” Bob did the detailed back room work to make the business and finances flow, along with nurturing relationships with a group of faithful and committed employees. Bob had a devoted wife and six young children who were the focus of his love and attention. Life changed for the Luries when Bob was diagnosed with advanced colon cancer. Without treatment, Dr. Steve Rosen speculated that cancer would take his life within six months. Bob fought a valiant fight. He never gave in to his illness, but rather accepted the inconvenience of treatment while continuing with his life and urging his friends to stop and smell the roses. Ann, a registered nurse, was able to administer care at home, thus avoiding further life changes. 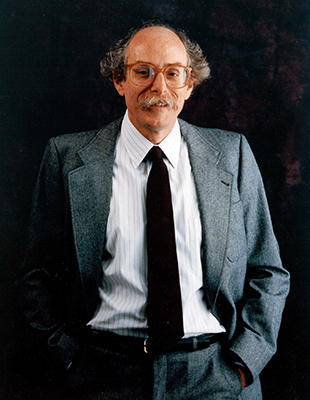 In 1990, when the end of his life was made imminent, Bob and Ann discussed with Dr. Rosen the possibility of endowing the Cancer Center at Northwestern University. Dr. Rosen asked that the center bear Bob's name. Bestowing the name of an individual on a cancer center, particularly an individual so admired by those who came in contact with him, would personalize the Cancer Center, Steve related, so that everyone in contact with the Cancer Center would be reminded that cancer is not some distant enemy. Cancer intrudes on the lives of individuals and sometimes kills, often when the patient is in the prime of his or her life. Bob's name would be a reminder that cancer research and treatment is about sparing people and eliminating each patient's pain and suffering. Bob died on June 20, 1990, two years and six months after his initial diagnosis. His legacy lives on in the hearts and minds of his wife, his six children and those who knew him. His family continues to support the Robert H. Lurie Comprehensive Cancer Center of Northwestern University. They salute the enormous strides made in the years since and hope that someday we will triumph over this disease.